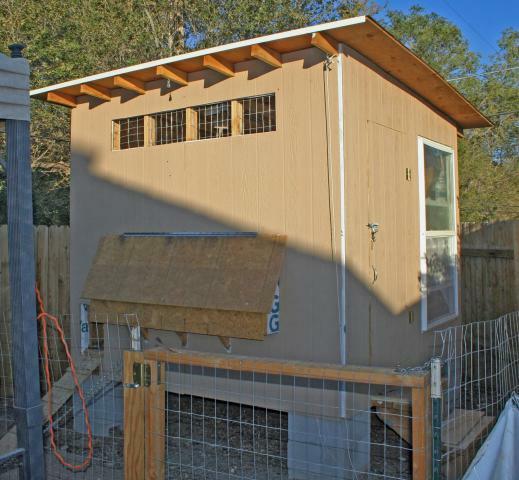 The new coop is almost done!!! Yea!!! There are more nests on the left side of the coop. The window was left over from a remodel we did so we put it to good use here. It's nice to be able to open it during all the hot days we've had this summer. But mostly we put it in for the southern exposure to the sun. There's not much work left to be done now and it's just outside cosmetics to finish up. The vent opening does have an operable door on hinges to keep out the rain but it's off in this pic. The pen was built early on to give the young pullets an area to run around in where I could watch them easily, but now they have the run of the whole yard except, of course, for the dog's run. Yes the girls have been in here since the sides were up! They are very tolerant of the continued work on their home. They are free ranging during the day but now they are laying so we try to leave them alone in the a.m. since most of them lay early in the day. The burlap was to keep them from roosting on the nests at first. 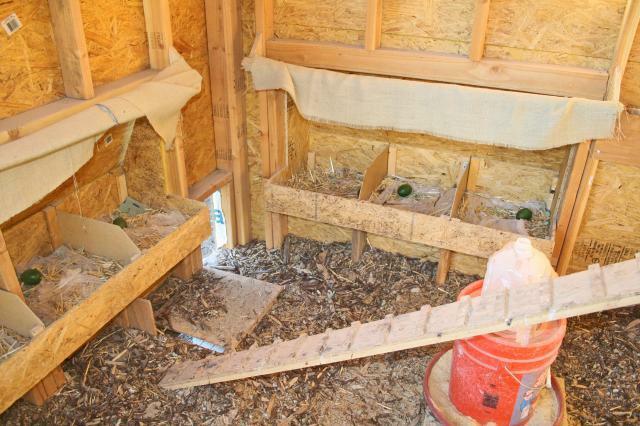 Note the removable board (there are two) in the floor where I can easily sweep the enriched mulch out into buckets placed under the coop! The holes are covered by heavy duty wire fencing to keep out predators. Beyond the sweeping hole is the Hen's door. The feeder works quite well even though it's home made. The small nests are 15"x15". Larger ones are 16x15. Where the 2 studs are marks the outside wall of the coop. 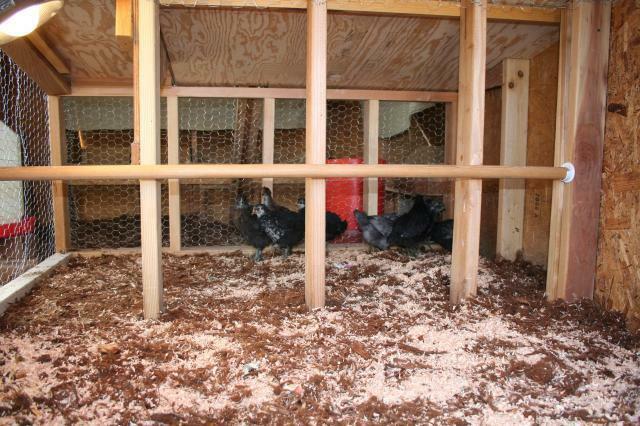 The rest of the brooder bumps out into the run area. 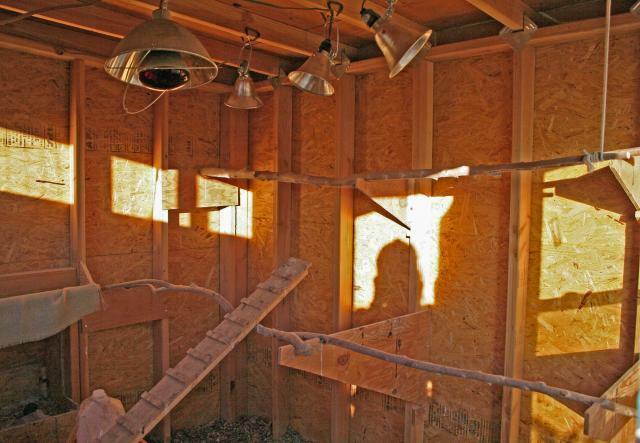 The chicken wire was used on a couple of walls because they are exposed to the inside of the coop only which is locked up tight every night against predators. "Would love more details and pics"
This coop looks really nice. I would love to know more about how it was built and why that way along with more about what you have learned since you started using it.